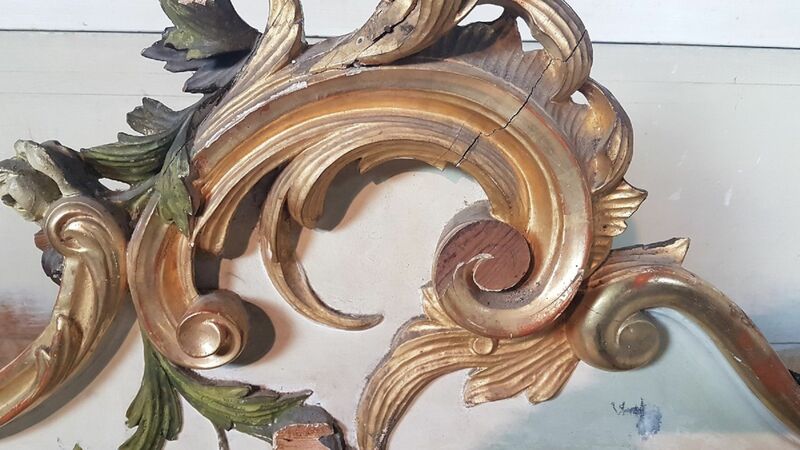 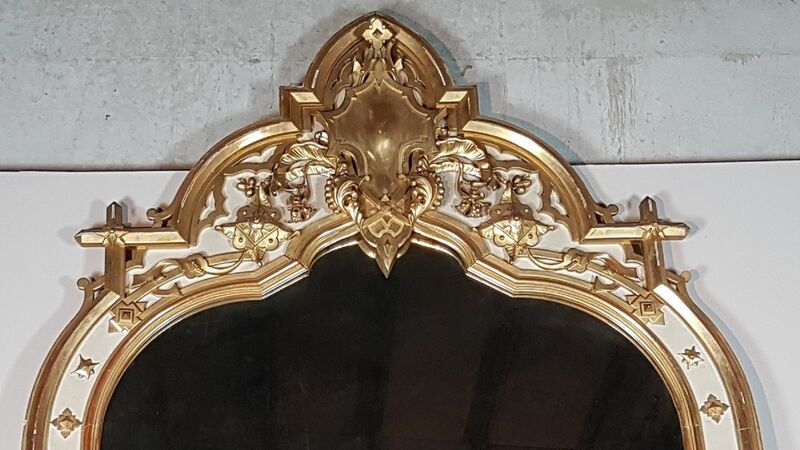 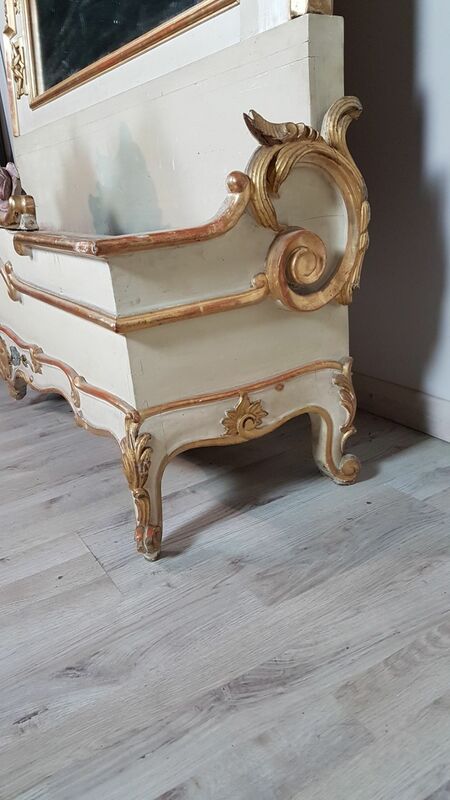 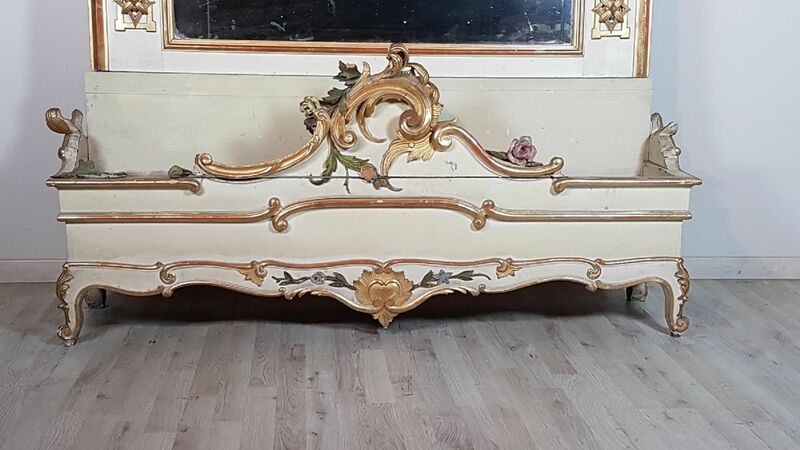 Beautiful elegant spectacular luxury mirror with planter at the base large size in perfect Italian baroque style wood finely and richly carved with swirls of great refinement lacquered and decorated in gold leaf. 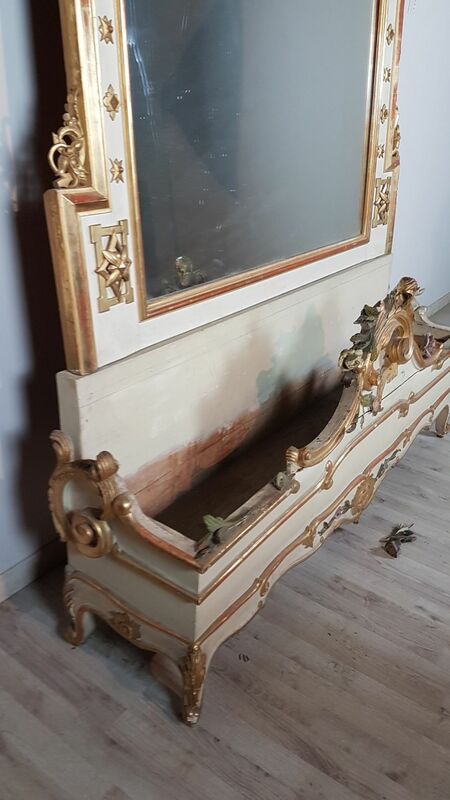 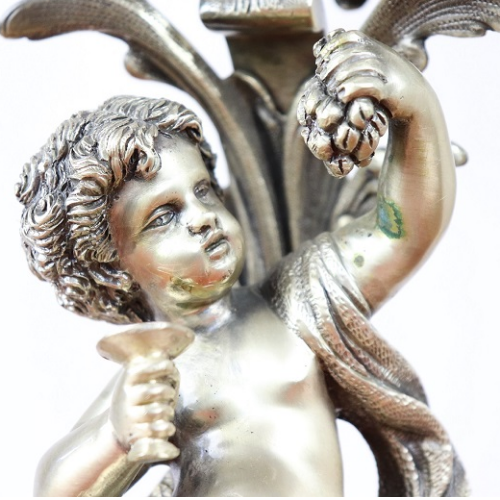 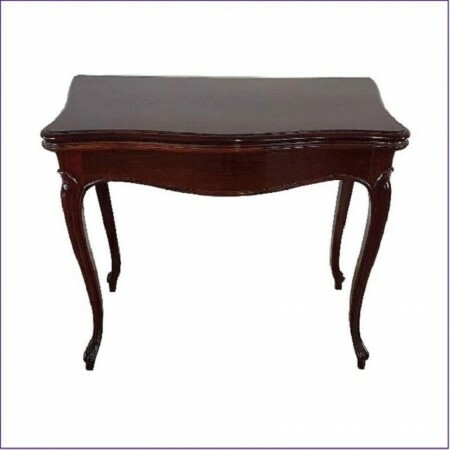 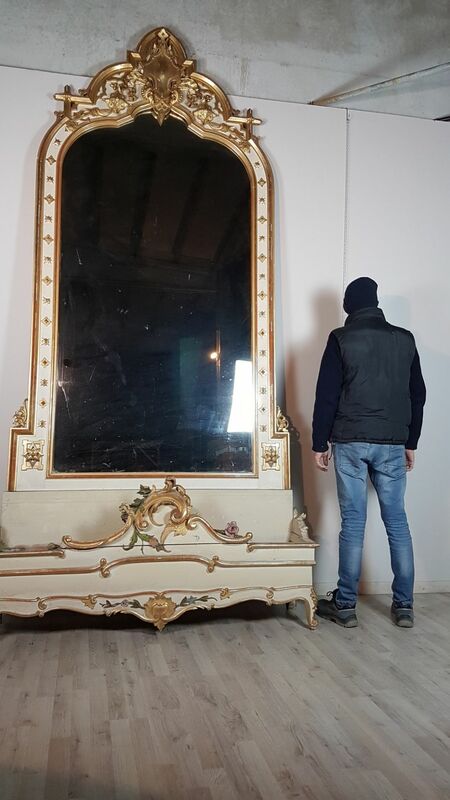 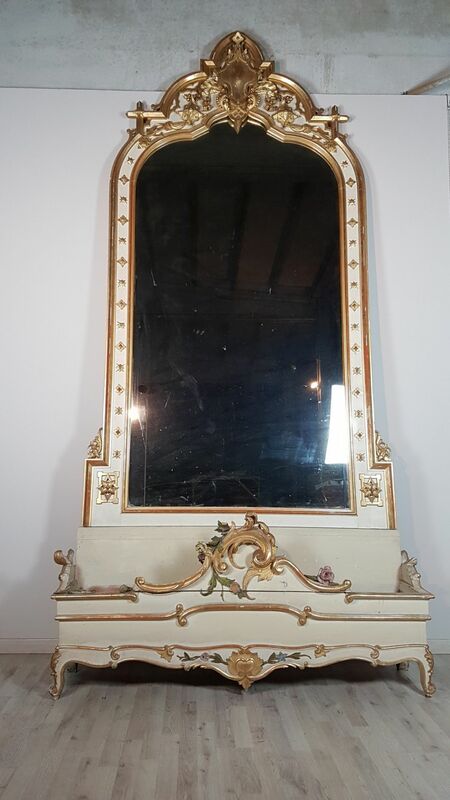 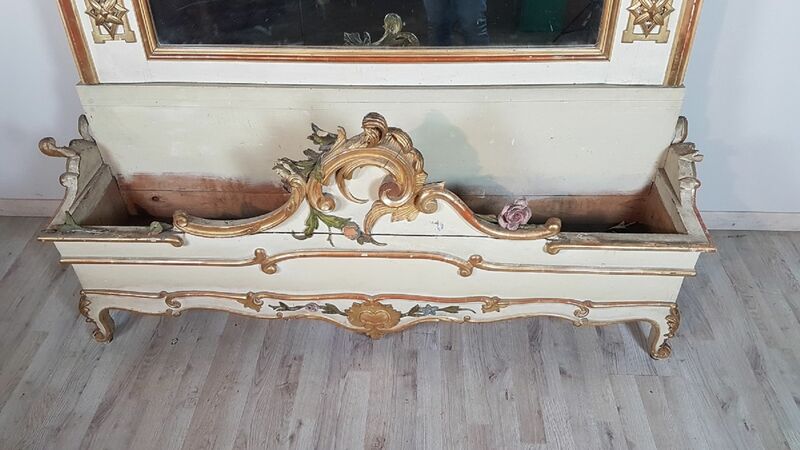 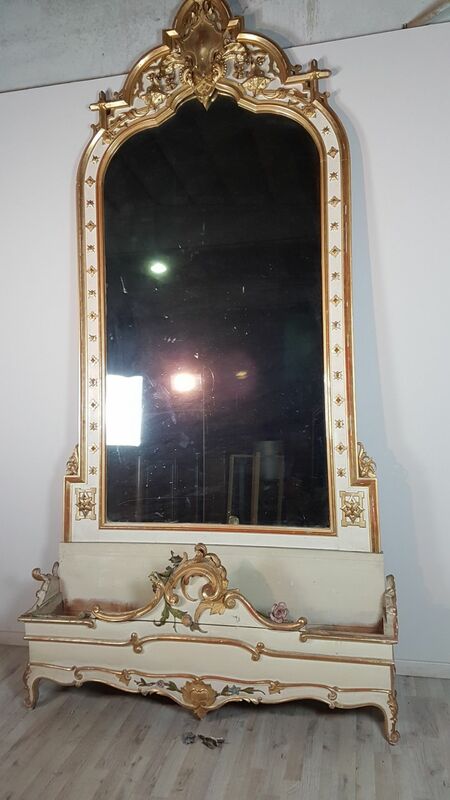 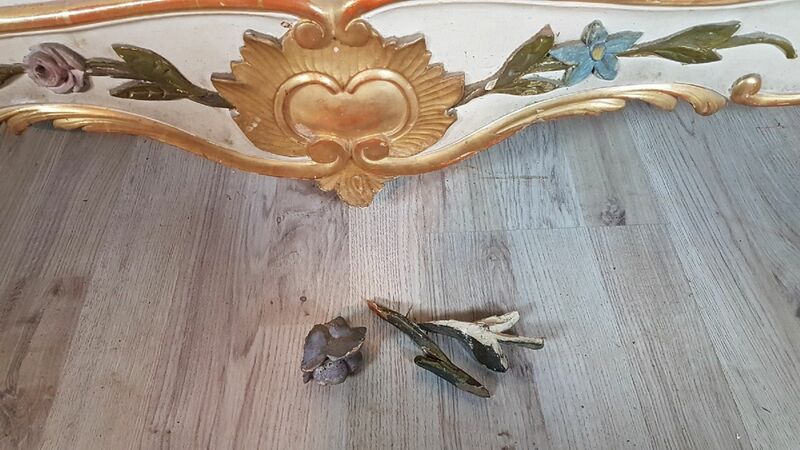 The mirror, as you can see from the images, is a rare and unique antique furniture, unavailable in need of restoration especially in the lower part of the planter. 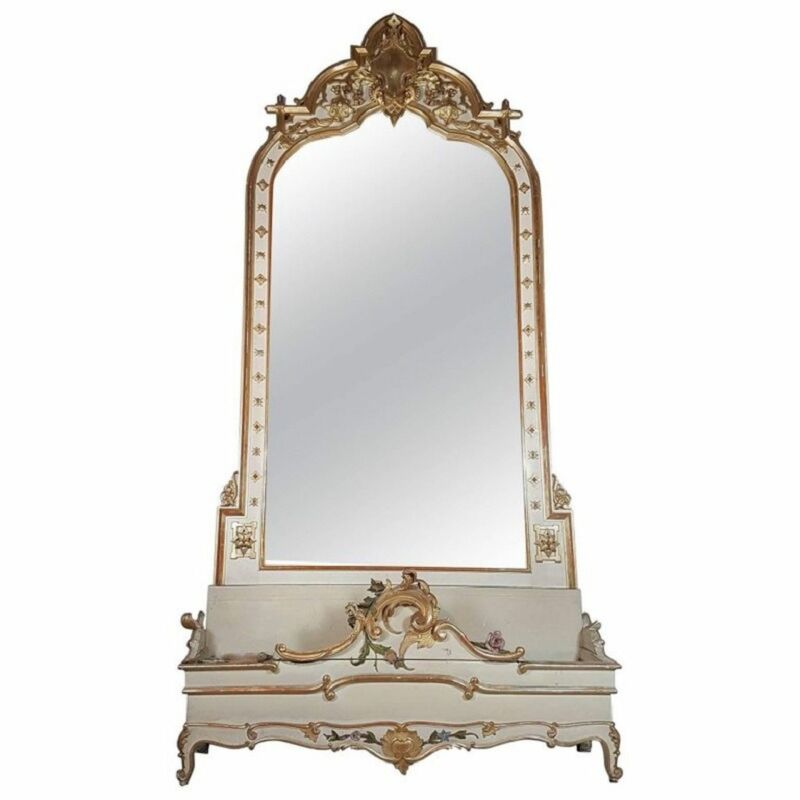 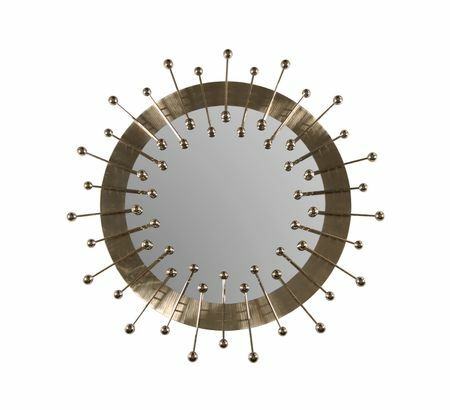 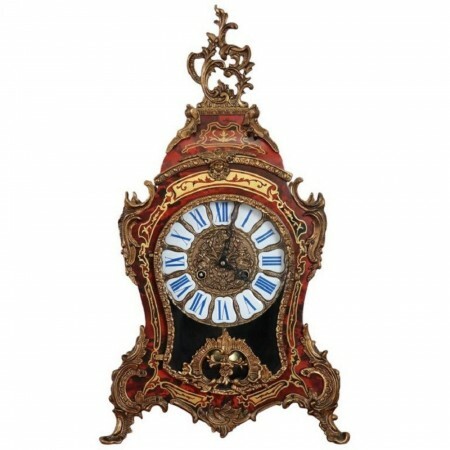 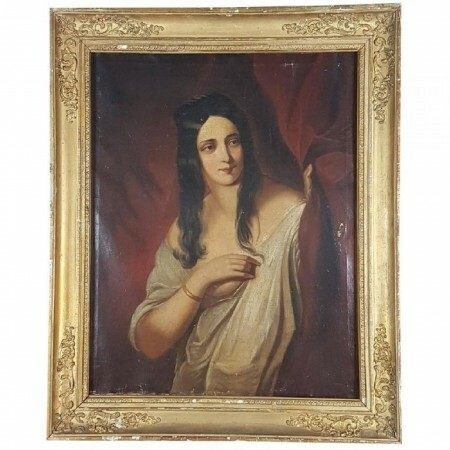 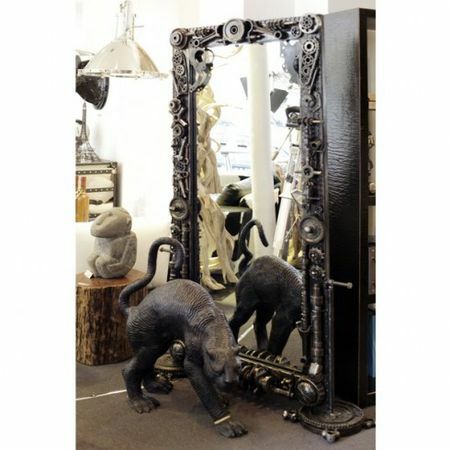 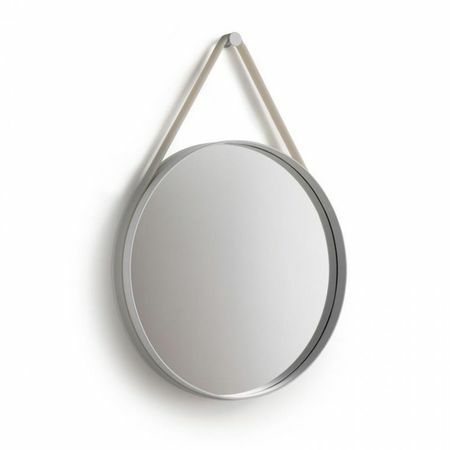 The mirror was built on commission to embellish the entrance of a large 19th century dwelling in northern Italy. 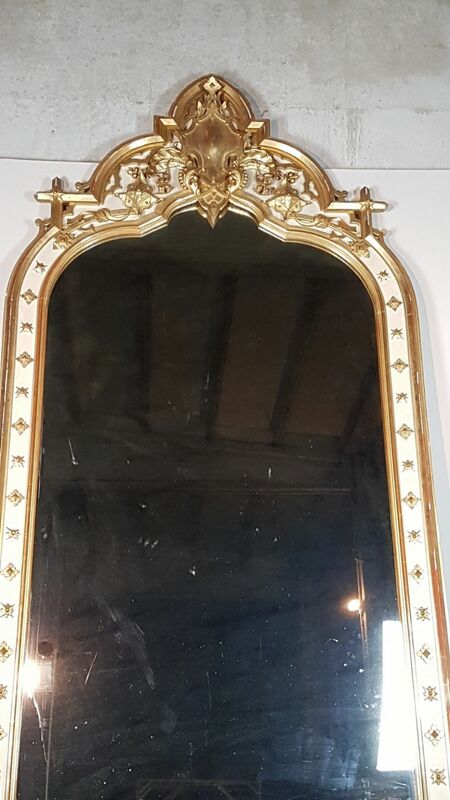 H 127.96 in. 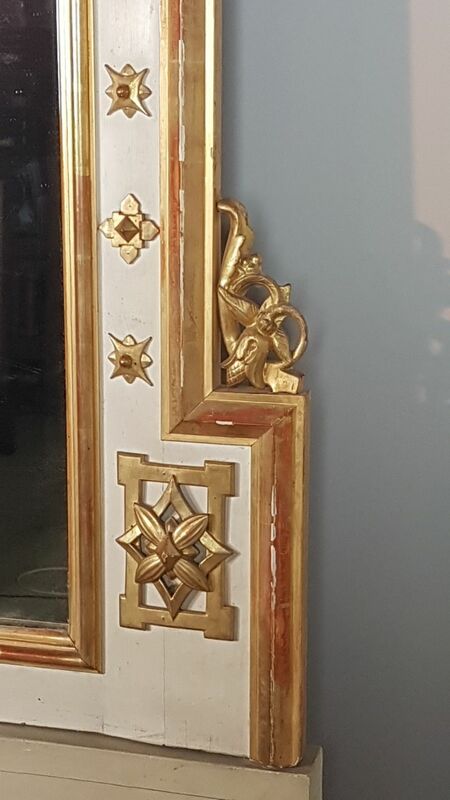 x W 63 in. 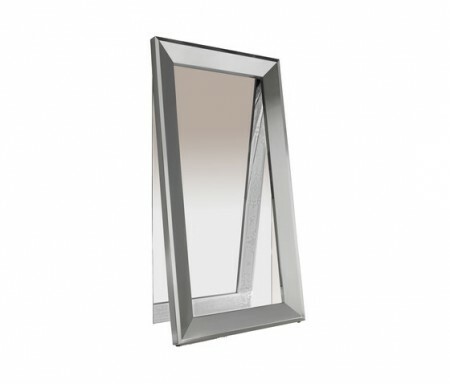 x D 15.75 in.